Learn how to sew using the library's sewing lab. 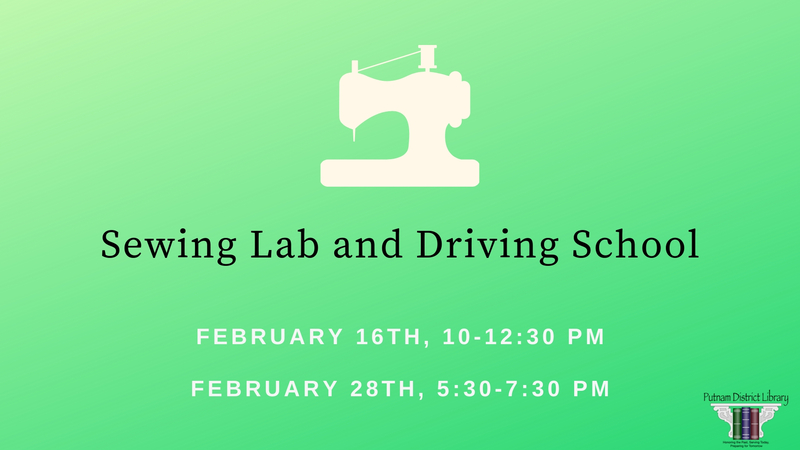 Community mentor, Sue Pufpaff, will be giving "driving lessons" to those wanting to learn or improve their sewing skills. Each driving lesson consists of a set of sewing tasks that you practice repeatedly. With each set of tasks completed, you get closer to obtaining your sewing driver's license!